We all know this bit of Midrash, right? No doubt some of us have used it it at one time or another to explain why we hold onto this, that, or the other odd custom. But where does it come from? 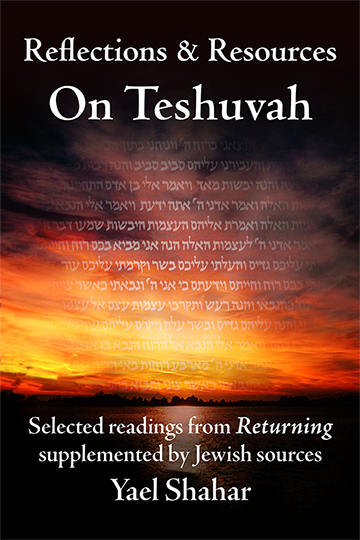 Rav Elli Fischer has a great article delving into this question. Yayikra Rabbah section 32 R’ Huna said in the name of Bar Kapparah: Because of four things Israel was redeemed from Egypt: They didn’t change their names or their language, they didn’t speak lashon ha-ra, and none of them was promiscuous. Minor Pesikta, Devarim (Ki Tavo) 41a Another interpretation: “And there they became a nation” – this teaches that the Israelites were distinct there, in that their clothing, food, and language was different from the Egyptians’. They were identified and known as a separate nation, apart from the Egyptians. R’ Fischer found these two midrashim combined in the ethical will of the Chatam Sofer, who singled out only three of the list as crucial to maintaining Jewish survival: language, dress, and names. Interestingly enough, the Chatam Sofer did not link these things to the survival of the Israelites in Egypt. It was his own generation and their descendants that he was worried about. But why these three things? 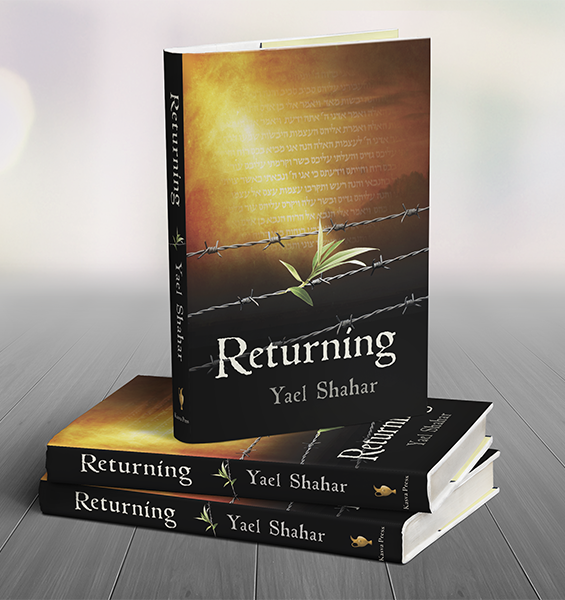 Perhaps because the others cited in the original midrashim—food, Lashon haRa, and promiscuity—may be counter-survival in certain situations but not in others. In the Egyptian exile, Lashon HaRa would translate not only as slander but also as “loose talk” that could get someone in trouble with the Egyptian authorities. Promiscuity—sleeping around—in whatever perverse form it took, could bring disunity and bad blood, which could lead to the Egyptian authorities being called in to enforce internal disputes. Having a separate cuisine in an agrarian society means having separate pasture lands—sheep and cattle need different grazing conditions, for example. Thus these things in particular are applicable in the Egyptian context. One could argue that the three things singled out by the Chatam Sofer—language, dress, and names—may have a wider application, which is why he chose those particular three. But let’s “go with the flow” of the combined bit of midrash as it has entered our generation’s consciousness: “By clinging to our names, our distinctive dress, and our language, we merited rescue from Egypt.” How would maintaining these particular distinctions from the surrounding population have merited the Israelites to be rescued from Egyptian slavery? As the Chatam Sofer pointed out, holding onto these three things is a recipe for maintaining our national identity. But exactly how do these three things help to do that? Our names are linked with our history. They speak of our relationship with our ancestors and with God. Our custom of naming children after grandparents and relatives also helps us preserve our ties with our past. Our clothing has in the past marked us off as separate from the nations among whom we lived. So long as we are recognizable outwardly as Jews, we can’t assimilate. Our language preserves a particular way of thought. It also contains the value-concepts (as defined by Max Kadushin) which provide the contents of our collective identity. These value-concepts are not translatable into any other language. Think of the terms Middat HaDin and Middat HaRachamin. Just the naming of these terms calls to mind a host of other concepts which inform our thoughts and deeds. By hanging onto these three aspects of our national character, we ensure our survival as a people. We have the promise that we will eventually be redeemed, so all we need do is hold out until that moment comes. I would argue that in choosing these three things out of the list, the Chatam Sofer was expressing a deeper insight into the sociological workings of exile. We naturally connect his insight to the Egyptian experience, for textual and cultural reasons, but it’s also true that the Egyptian experience makes a good template for exile in general. 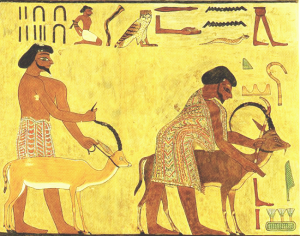 R’ Samson Rafael Hirsch wrote that the Egyptian exile included three phases, each leading inexorably to the next: Gerut (the fact of being foreigners); Avdut (slavery); Inui (torture, degradation). Rav Hirsch see these stages as being on a causal continuum of escalation: one who is a foreigner may be singled out for persecution. Political contingencies may then lead the persecution to become institutionalized; the foreigner is dehumanized and gradually stripped of his rights. The next stage will inevitably be cruelty, due to the dehumanization. (R’ Hirsch died fifty years before the shoah, and yet he describes what led to it with chilling insight). Gerut. We are foreigners. All right then, let us take pride in ourselves, in our history, and in our mission. We refuse to give up our Hebrew names, full of meaning and history. Yes, they single us out as Jews, but they are also a link to previous generations. Inui. We face degradation. We use our tormentor’s language in an attempt to communicate with him, to try to tell him we are human. It may or may not work. But let us not let the conquerors’ language entirely crowd out our own. Let us not forget our own habits of thought, our values, our prayers. Our language is our last link with our inner selves. If we have endured terror and pain, we may have to fight our way back to self-expression. It can be an uphill battle. But, oh! what a victory when we realize that we have won through! And so, each of the Chatam Sofer’s “identity factors” become a “remedy” for that stage of our exile. Unconsciously perhaps, we reverse-engineer the midrash, applying the Chatam Sofer’s filter to the earlier midrashim on survival in Egypt. But perhaps this isn’t so inappropriate. In saying that these three things somehow set the stage for redemption we are stating a tautology, or at least a self-fulfilling prophecy. If we resist assimilation, we live long enough (as a people) to make it to redemption. But why is all this important? Why strive to remain a separate people at all? To be continued in the next post!